The Global Innovation Field School is on the road again. As we arrived to the Nairobi Airport, on Tuesday May 22nd, unexpected rain with low temperature was waiting for us. 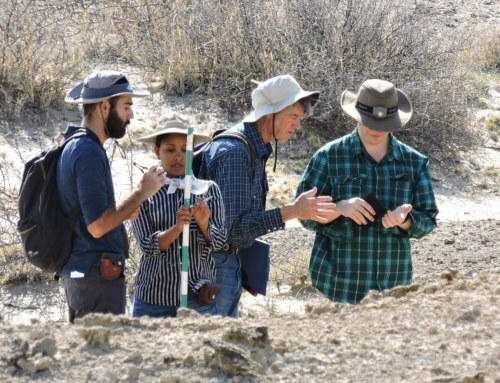 Even though the commute was long (almost 24 hours) and made us all exhausted, the sights of the Nairobi National Park and the beautiful setting of the Wildebeest Eco Camp started to captivate the attention of the new crew of energetic Stony Brook University students. Wildebeest Eco Camp, tents seen to the right were home for the night. 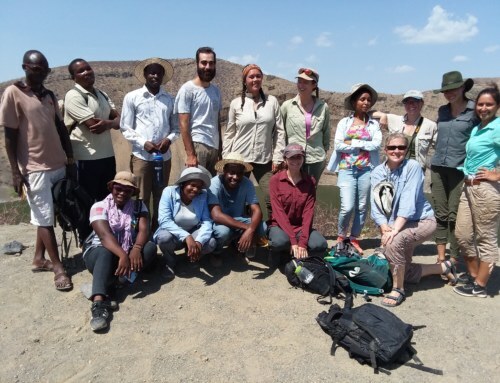 On Wednesday the 23rd we left Wildebeest for the Mpala Research Center, the first stop of our program itinerary. The ride took four hours and unveiled an exciting and constantly morphing landscape. As Jacob, our local driver, started the journey, the road was congested with cars driving east towards the center of Nairobi. He explained that, as in our own cities in the US, people commute from the suburbs to work in the city which makes the peak hours a convoluted traffic mess. Transportation systems was one of the first things that caught the attention of the students, no bus stops nor any kind of infrastructure to accommodate pedestrians was seen. People wait by the edge of the pavement in a dirt path and wave to the colorful buses as they arrived. From the buses, the driver’s assistant hangs from the door, half of his body in the air, and screams out in Swahili. Dirt motorcycles transporting up to three passengers are also part of the native transportation system, hardly any helmets were to be seen. If not people, the bikes are filled with construction material, chairs, or any item that could possibly be put on a motorcycle seat. 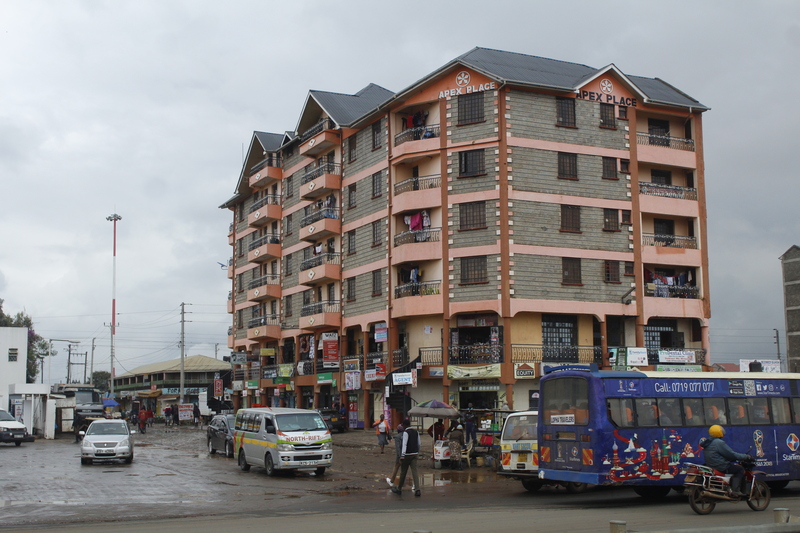 A portion of town close to Nairobi. 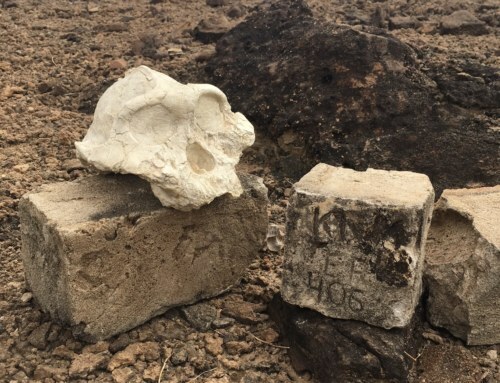 Water still came down from the gray clouds in the sky and flowed through the dirt ditches built on each side of the paved road. 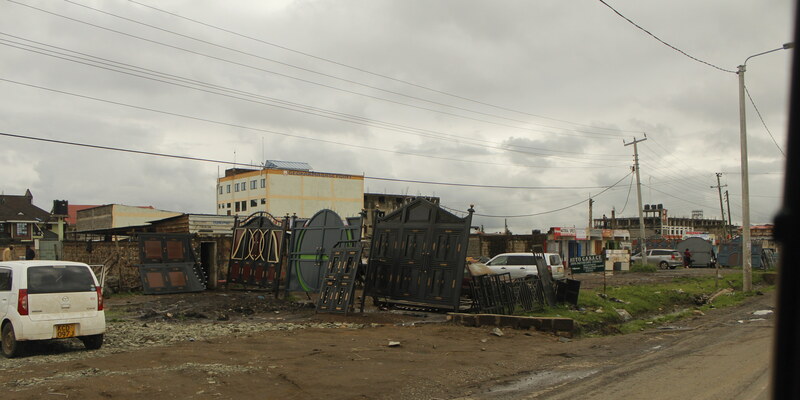 A little further from the running ditches we saw a peculiar market dedicated to bed frames and big metal gates painted with colorful motives. The market was spotted at different locations throughout the drive and we also observed various tire repair centers, fruits selling kiosks, and a variety of what seemed to be flea markets spread out along the side of the road. However, as we continued in our drive and after detouring from the main highway, the landscape started to change from a convoluted city scene to a more green and harmonious sight. The transition to less developed areas begins. As we approach Nanyuki, the students started to see the side of Kenya they were expecting to see, with the Acacia trees alongside the road taking the place of the various markets from the main highway. 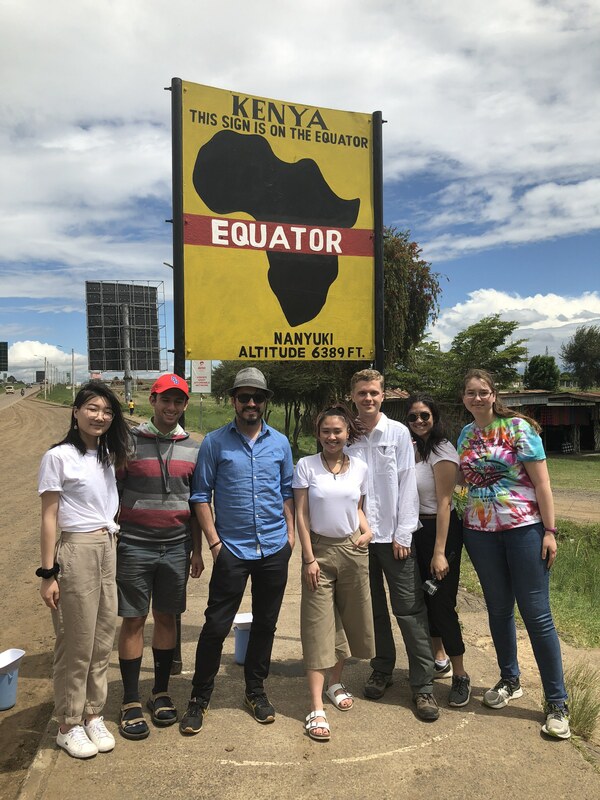 The group finally makes it to the equator line in Nanyuki, where everyone witnesses how the locals demonstrate how the water swirls in opposite directions in the southern hemisphere from the northern hemisphere. 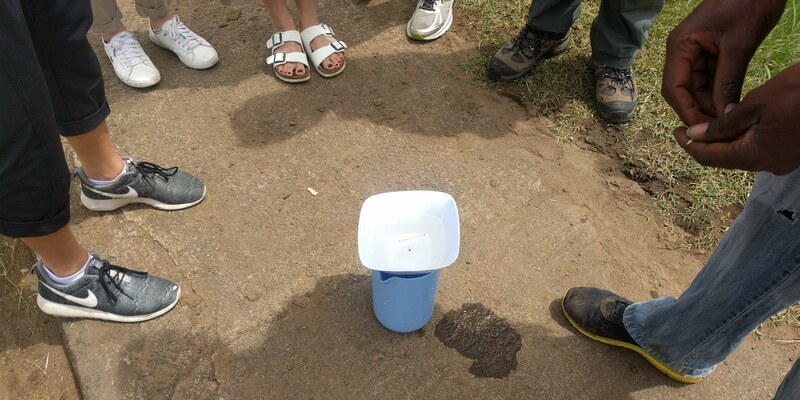 A bucket filled with water and a funnel are enough tools for a man to delight the group by pouring water on both sides of the equator line and on top of it. The experiment was a success! The water swirls clockwise in the northern hemisphere, counter clockwise in the southern hemisphere and no swirls at all on top of the equator. The swirl of water draining is compared on the equator and on both sides. 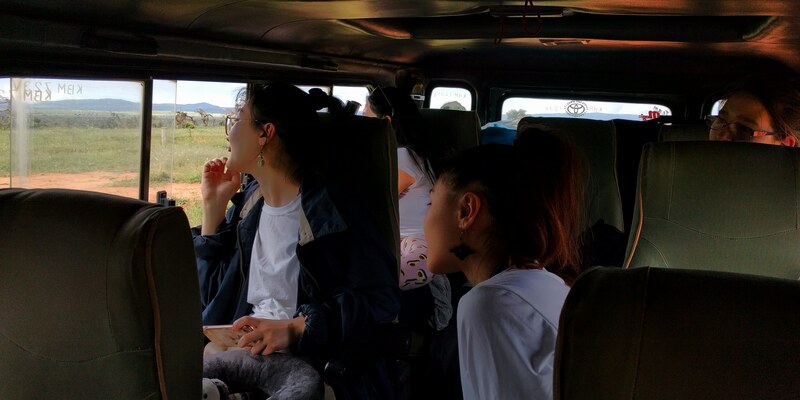 The final drive from Nanyuki to the Mpala Research Center (MRC) was by far the most fascinating stretch of the day and possibly of the students’ life. 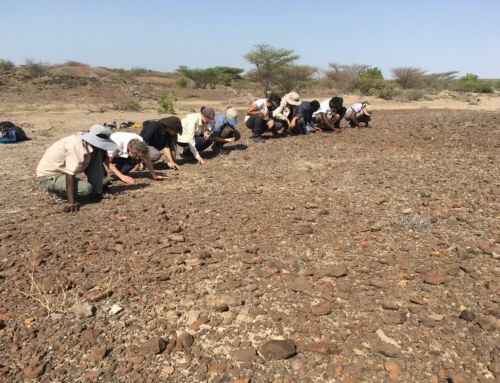 About 10 kilometers from arriving to MRC the students were finally exposed to some of the wildlife of the country. 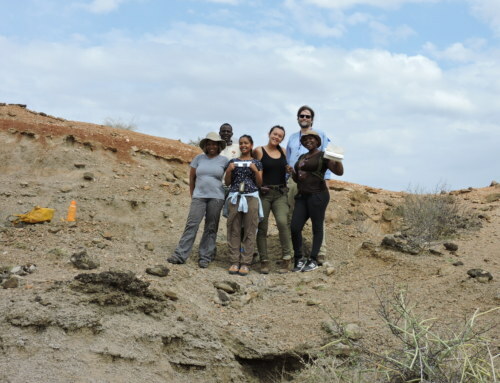 A group of elephants, a baboon family, and several giraffes made the group especially excited, we were entering the MRC, but more importantly, we were in Kenya! 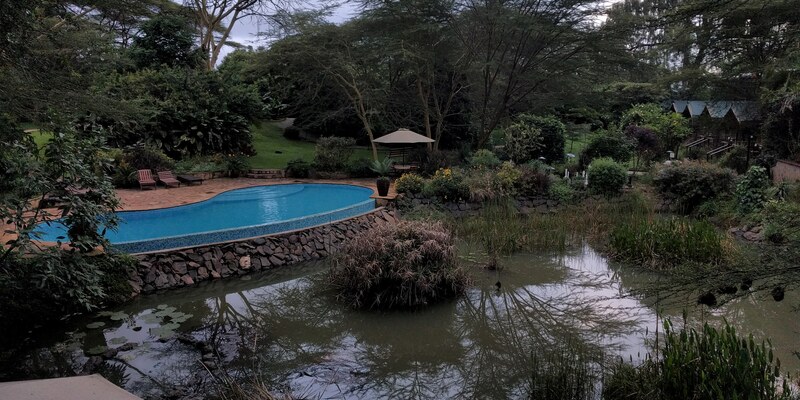 The Global Innovation crew excitedly views the diverse wildlife on the outskirts of Nanyuki. 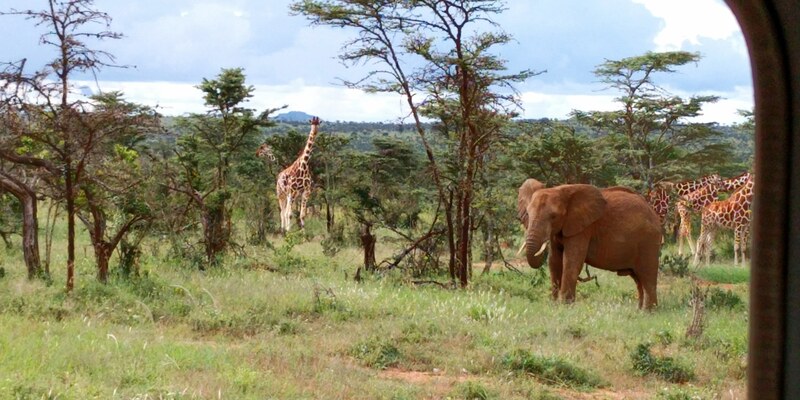 Elephants and giraffes viewed on the drive to Mpala. From left to right: Winnie Wang, Joe Kocaj, Rodrigo Peña, Konnie Xu, Sam van der Poel, Emily Aviles, and Natalie Lubaszka.